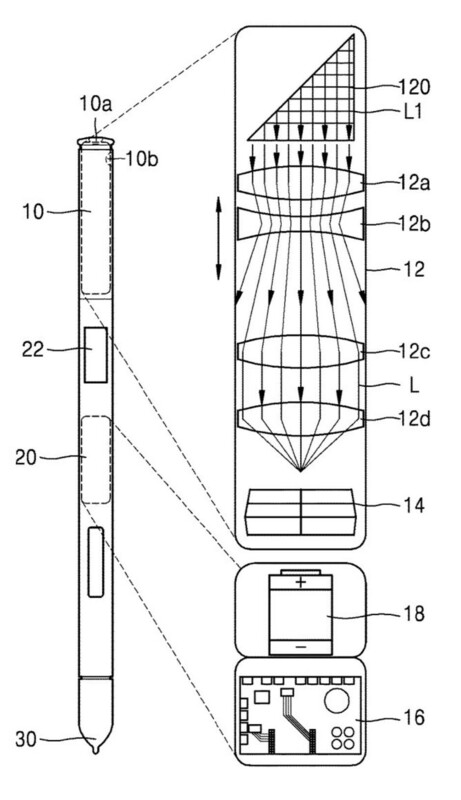 The camera embedded into the stylus is supposed to be controlled by an external button. Another external button placed lower on the S Pen should allow users to adjust the zoom. Spotted by PatentlyMobile, the patent mentions that the S Pen is meant to an upcoming Galaxy Note device, but doesn't specify which one. Although adding a camera to the already multi-functional S Pen will further improve its usefulness, it's hard to believe Samsung is willing to drop the selfie camera on the next Galaxy Note altogether. In fact, we're not even sure that the camera on the S Pen is meant to replace the Galaxy Note's selfie camera. For the time being, the only thing that we're certain of is that a future S Pen stylus might allow users to take pictures without having to use their Galaxy Note phone. yo... this is crazy.... i wonder how much the pen will be to replace!!!! if this is on the note 10 i'm definitely upgrading! 1. S-pen cam left connected and facebook streaming. 2. S-pen facing you while doing weird things. 3. Instant shameful videos. Jokes aside, i think it will be great. Just make sure not to post them to your YouTube channel either. 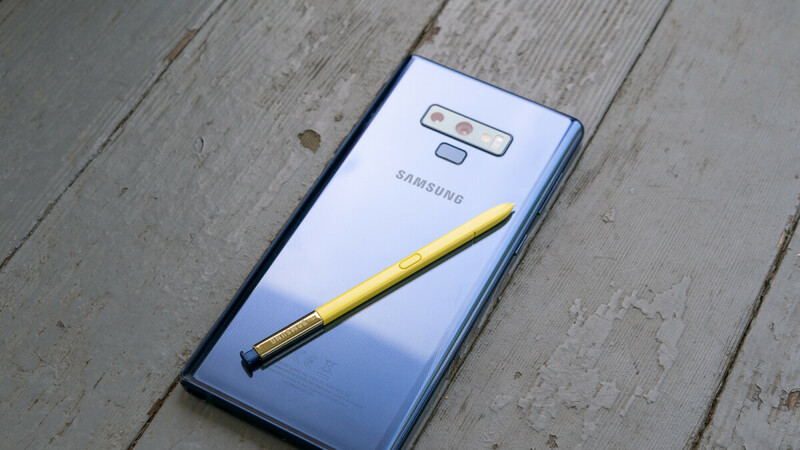 I am only worried about the fact that the camera lens will sustain with continuous wear and tear.I think the regular note users insert and eject the S-Pen hundreds of times. A lens cover will go a long way, but only time will tell. I'm not worried, phone goes in and out of my pocket hundreds of times, often with other junk in there, and the rear camera doesn't get scratched up. Besides it would be such a small lens cover they could do it with sapphire. The diagram looks like maybe there's a prism first in the optical chain, meaning the lens might actually be in the side. Either way, it's an interesting idea. Definitely better than any intrusion on the display. So I Have to take out the s pen every time I get a video call! And still have to hold the phone to see the other person calling me. That is weird. Solution: insert the S-Pen till camera is visible and turn your display 180°. Done!! A popup selfie camera! Samsung is good at new innovation both at hardware and software so expect an even better solution!! The hole for the S-Pen could be on top instead of the bottom as it is right now, and a single click on the S-pen could reveal the camera and there you have it : video call!!! It'll be just like a pop-up camera, and you'll need to click on the S-pen to pop the camera out. S-Pen Camera!? A few Questions. 1. How to know what's in Frame and Not in Frame? 2. How Long will the S-Pen have Power with this included? 3. Will the S-Pen have just Picture taking capability or will it be able to take Video as well? 4. Will the File or Files Automatically be sent to the Phone or when the S-Pen is inserted? 5. If the File or Files will Not be sent instantly and automatically to the Phone, then How much Storage will the S-Pen have? 6. How well would an S-Pen Camera be Both Accepted and Utilized? You are way overcomplicating it, pen already has Bluetooth connectivity and there is zero reason the images would even need to save to the pen. I see no reason the phone wouldn't display what the pen camera sees on screen and save directly onto the phone with current wireless tech. If this means no stupid hole in the screen then I'm all for it. But of course I highly doubt this is going to happen. Waiting for the Note 10. I gotta say that the idea itself sounds futuristic and cool, but for me this just sounds like another gimmick that few people would use. Though I can already feel that if this became real some creeps would be getting Note series just for a peeping. Note 10 will be best of the best again. I can't wait. Well, well, well. This is probably the best innovation in the last few years (after then in screen fingerprint). This one could be the reason to skip S10 and go directly to Note 10. If I can skip the weird holes then I can wait another 4-5 months for upgrade. Good job Sammy, hopefully this will be in Note 10.